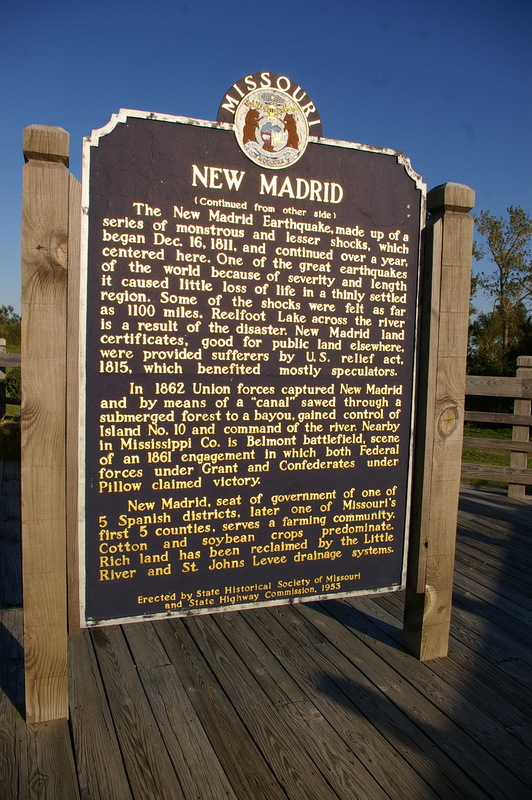 New Madrid County is named for Madrid, the capital of Spain. 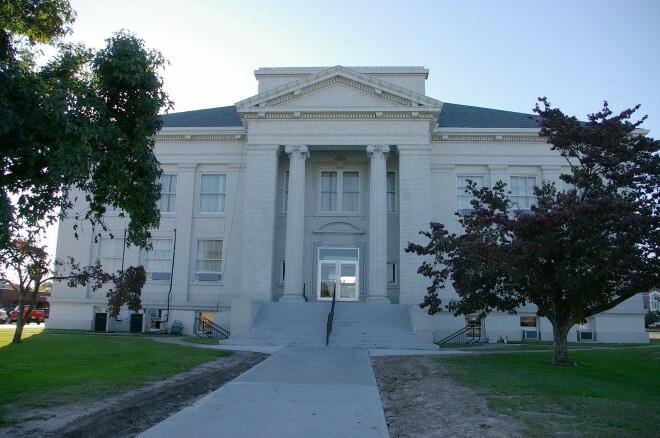 Description: The building faces east and is a two story gray colored brick and concrete structure. The building is 107 feet by 75 feet. The east front has a large portico supported by two large columns which rise to a pediment at the roof line. 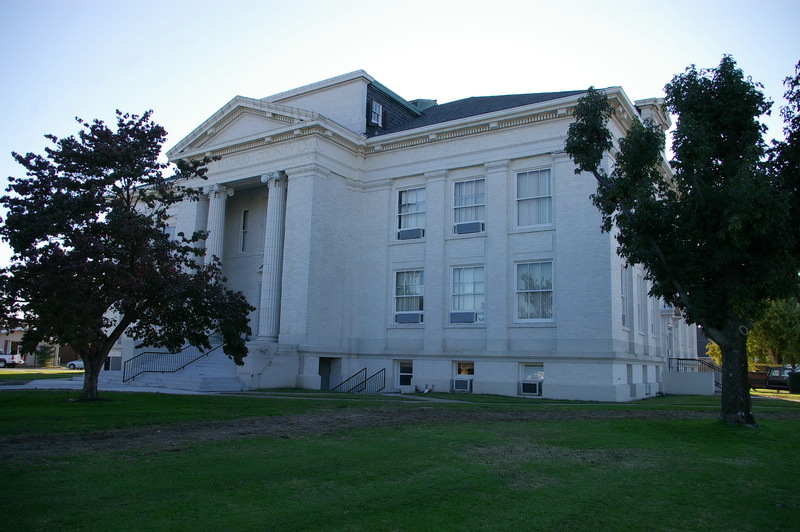 The entrance is recessed. The roof is sloped. The architect wasand the contractor was Interstate. W W Taylor of Cape Girardeau completed the interior work. 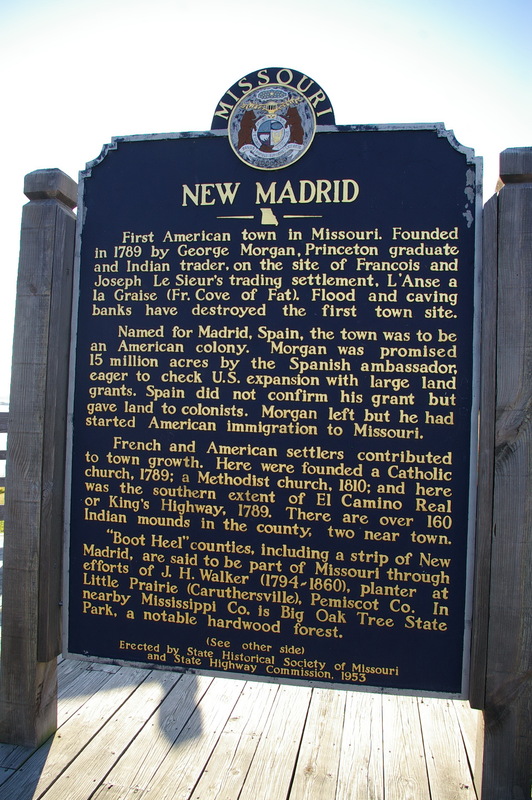 Note: The first courthouse was built in New Madrid in 1822. The second courthouse was built in 1854 at a cost of $2,950 and was destroyed by fire on September 24, 1905. 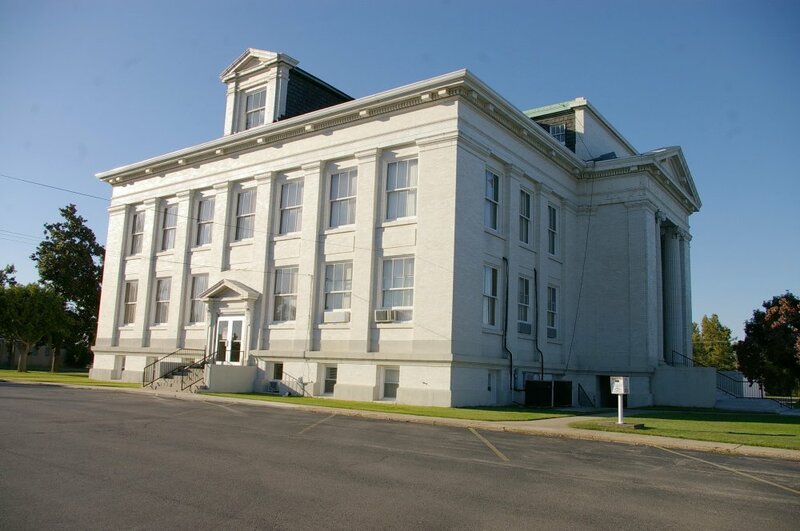 Construction of the present courthouse began in 1915 but due to World War I beginning and the labor force being reduced W W Taylor, a master builder from Cape Girardeau, superintended finished the interior work, which was completed in January 1919. 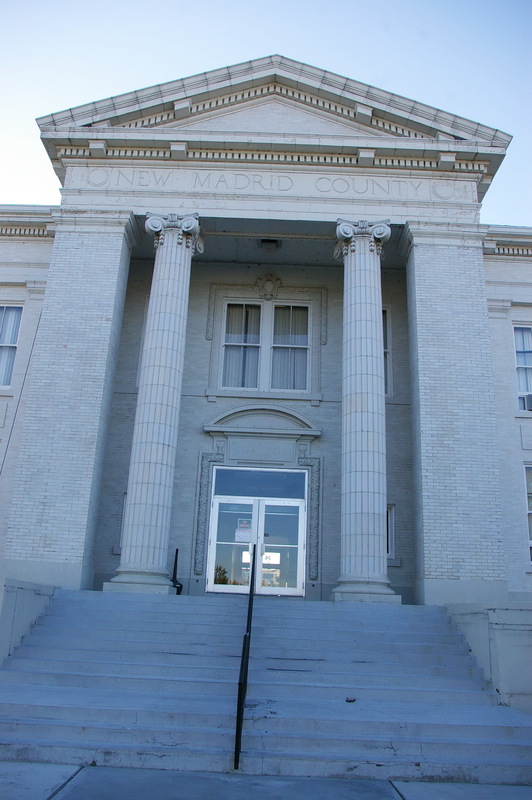 The cost of construction of the courthouse was $100,000.